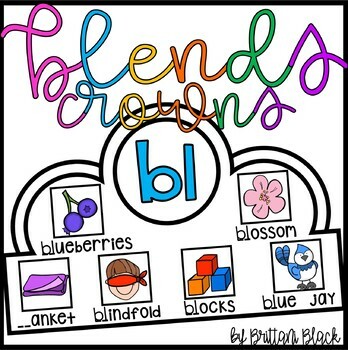 Are you looking for a fun, interactive way to practice blends? 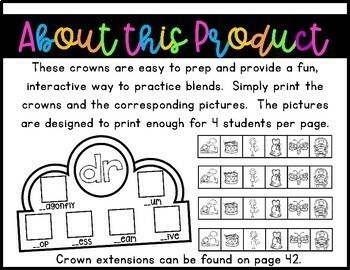 These crowns are sure to keep your class engaged! 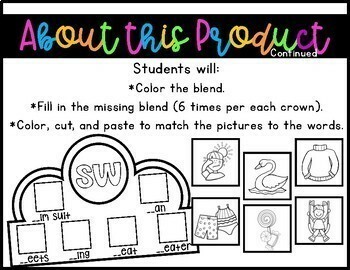 Each crown requires students to write in the missing blend (6 times) and then color, cut, and paste 6 pictures to match the words.